At Canadian Braille Press, we specialize in braille business cards, transcriptions and signs. Based in Canada, our company also provides its services to the whole of USA. Founded in 2000, our business Canadian Braille Press currently employs four highly experienced staff members who create outstanding Braille products. With a combined experience of 30 years, we are ever-ready to assist you in your Braille project, whether it is a large or a small scale one. 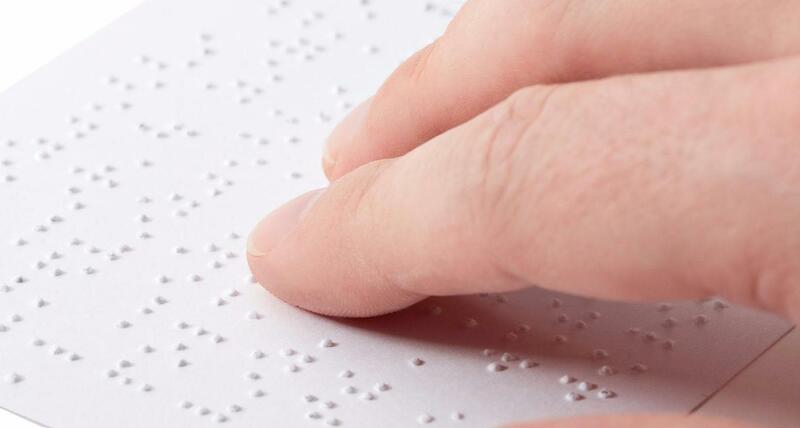 With long years of experience in the industry, our staff members are experts when it comes to Braille services. We specialize in Braille embossing, business cards, signs and transcriptions for the convenience of visually impaired people. Our team always makes sure to meet all the necessary requirements and to produce acute and well positioned dots on every printed item. Over the years, our experience and know-how have given us the opportunity to work for a number of clients. Our business has even added Braille to business cards, bookmarks, greeting cards and kit folders for numerous governments and private companies. Feel free to stop by if you have a Braille project in mind. We operate in Canada but also provide our services to the whole of USA. Let our team of professionals help you with your Braille project.